“We really should do something about this” and so they did. The plaque was taken down and cleaned and French polished and is to be remounted in its original position in the entrance to the offices of the mill. 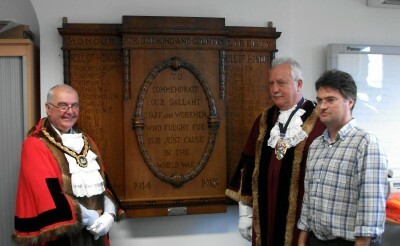 Today, it was unveiled by the Mayor of Flint Councillor Paul Cunningham for whom it was especially poignant because two of those named were relatives of his.